My sister Carolyn is a huge movie musical fan. But at 4’11, buying costumes off the rack is tricky. 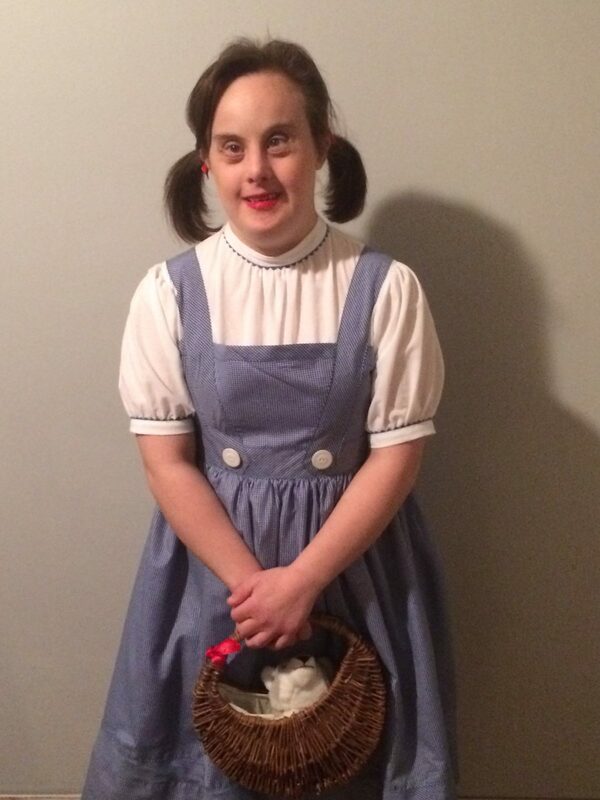 When I found a pair of red sparkly ballet flats in her size earlier this year, I knew the perfect costume was definitely Dorothy from the Wizard of Oz. 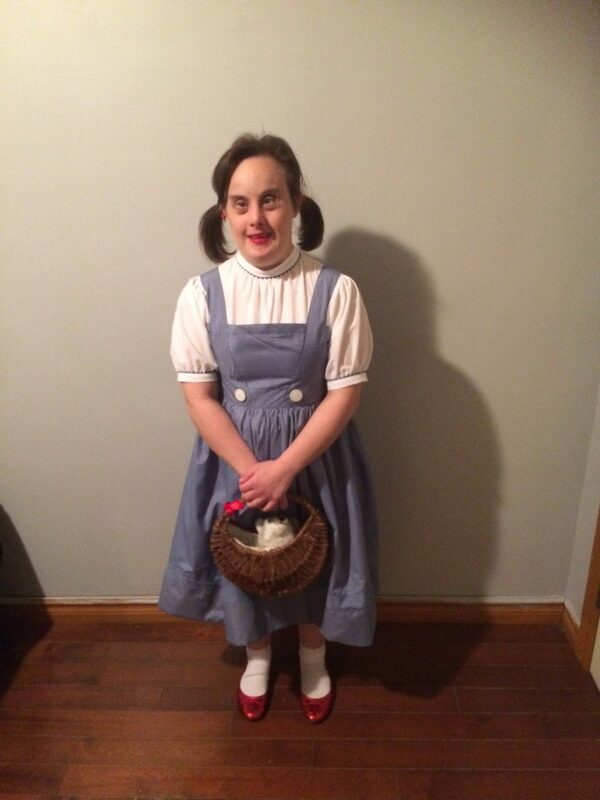 We live in different towns, so I didn’t have her nearby to test the fit of this costume. I relied on her body measurements to draft the bodice pattern from scratch. The skirt is a simple gathered one, using her hip measurements at one and a half times fullness. I’m delighted at the perfect fit. The dress itself is made from a blue and white poly-cotton gingham, while the blouse is made of white batiste and rick rack trim, both from my stash. The dress fabric was very light and didn’t have much body, so I added a simple petticoat underneath, finished with a 3″ eyelet scalloped edging to add the necessary loft. The straps, waistband and skirt band are 2 3/4″ strips, cut on the bias and topstitched down. This allowed me to shape them over the shoulders and still keep the necessary fullness over the bust. The back closes with a simple invisible zipper. 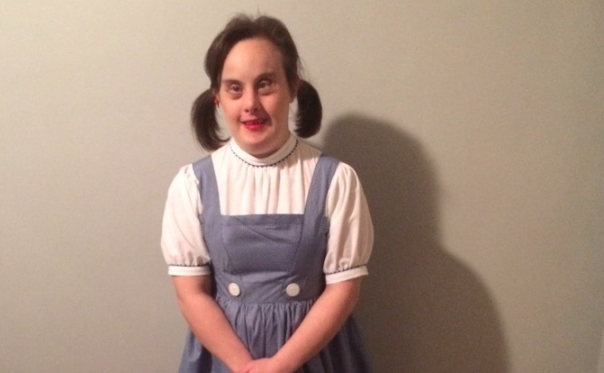 The dress was a big hit and Carolyn told everyone she met that her sister had made it!